Wilson Combat® has been supplying serious shooters and professionals with the worlds' most reliable and durable .45 auto magazines for the past 30 years. They are used by the worlds' most Elite U.S. Military SPEC OPS units, FBI SWAT and professionals worldwide. NO other .45 magazine on the market can compare for proven inherent reliability, durability and the ability to remain fully loaded for long periods of time without damage. 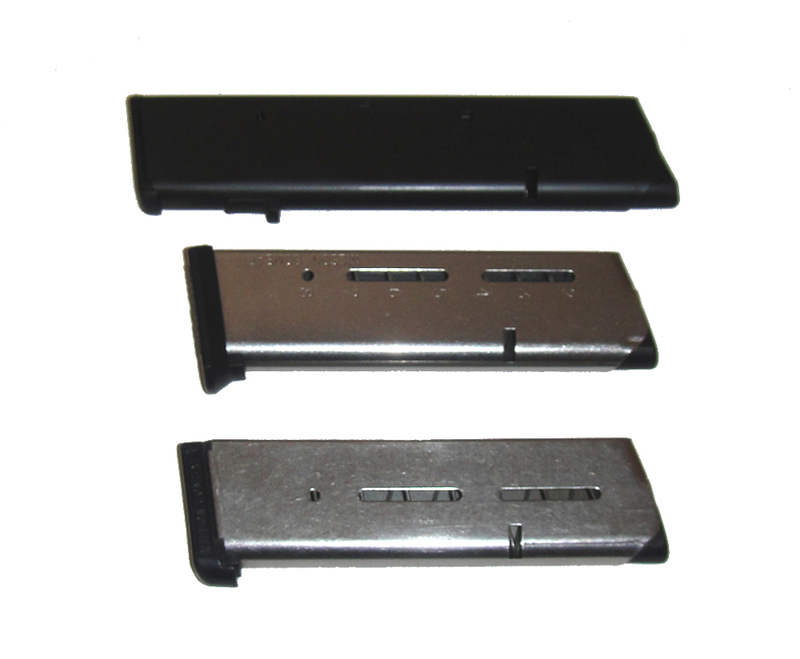 Wilson Cambat magazine springs are specially fabricated from the highest tensile strength heavy duty spring wire for long service life enhanced feeding and positive slide stop operations. The magazine bodies are manufactured from .027" (the thickest in the industry) aircraft grade certified 17-7 PH stainless steel and heat treated for maximum durability and service life. The dimensional tolerances are held so close that you will never encounter a Wilson magazine that doesn't drop free from your pistol or that your rounds are tight inside the tube as long as your pistol and ammo are close to proper specifications. Starting at 32.95 USD.